This week, Sony Dong, 46, arrived from Vietnam at the Los Angeles International Airport. As usual, he had to pass through US Customs before entering the country. He had passed through the required metal detectors without any problem. Baggage checks also revealed no need for concern. 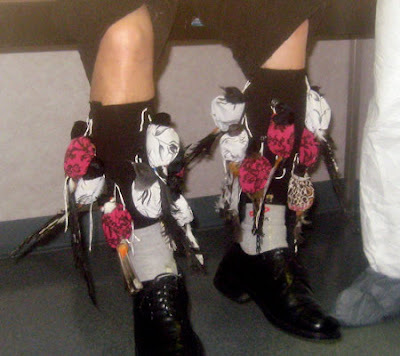 However, what made Customs officials suspicious was the feathers and bird poop they saw on Sony's socks. Lifting his pant legs higher revealed that Sony was attempting to smuggle 14 live birds under his pants. He had attached the birds to two strips of cloth that he had wrapped around his calves. The birds can be purchased on the street in Vietnam for around $20 each and can be sold to collectors for nearly $400 in the States.